Trimble EZ 250 W/ AG15 Antenna. Provides 6”–8” pass-to-pass accuracy with Ag15 antenna. Optimized guidance accuracy with OnPath. AG15 Antenna w/ cable. EZ250 Lightbar. Antenna Mount. ® filter technology for use in any part of the world. John Deere StarFire 3000 Receiver is in good working condition. StarFire 3000 works well with any of the following GreenStar displays. StarFire 3000 works well in the following applications. Gen 4 4600 Display. John deere greenstar harness. PF90587 10 Meter Implement Extension Harness. Condition is Used. In great shape. Has a little dust and dirt on it. New is over $350. Shipped with USPS First Class Package (2 to 3 business days). The serial number isPCGU26H192785 and it has 1,956.4 hours on it. Trimble EZ-Guide 250 Lightbar Guidance System. Includes upgraded Ag-15 Antenna Kit providing 5x better accuracy! [Generally 6-8"] . Provides 6”–8” pass-to-pass accuracy with Ag15 antenna. Optimized guidance accuracy with OnPath® filter technology for use in any part of the world. John Deere Greenstar StarFire 3000 Receiver Autotrac Autosteer GPS Globe SF1. Off working R tractor yesterday just upgraded and don’t need anymore. Everything works perfectly. Deluxe shroud and older style shroud included. Shipped with USPS Priority Mail from Georgia can be picked up as well. The Trimble® EZ-Steer® assisted steering system provides simple, portable, hands-free farming for more than 1200 vehicle models – old and new. 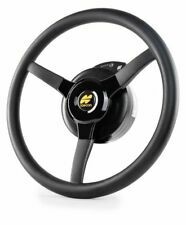 The EZ-Steer system turns the steering wheel for you by combining a friction wheel and a motor with guidance from anyT rimble display. 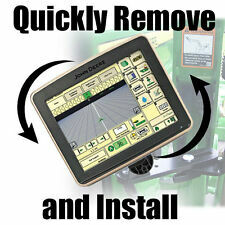 This receiver will work in any Greenstar ready tractor, combine, sprayer, planter, etc. Excellent condition. The receiver has 3265.4 hours on it. The receiver has been tested and verified to work like it should. Compact design with built-in lightbar. With integrated onscreen guidance, the Compass display supports multiple guidance patterns and displays the field ahead with multiple views. Simple Interface. Simple operation and setup for guidance. 85048 Cable Assy, Header Height Adapter, Case IH -10, -20 Series, 2008 & Later 1. 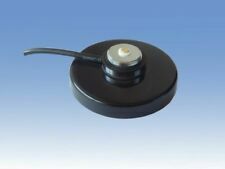 81658-00 Optical Sensor Kit Yield Monitoring 1. 85045 Cable Assy, Power and CAN adapter, Yield Monitor Module 1. 77774-00 Yield Monitoring CAN Module 1. Works with the The Outback AutoMate (not included) is an automatic boom shutoff product that works directly with Outback Guidance products, such as the Outback S, Outback S2 and the new Outback S-Lite. TopCon X25 Console - just monitor. SN: 201634020AH. Get this unit in perfect shape for unlocking those WAAS and OMNISTAR CFX 750's up to RTK. Unlock code, cabling, and antenna not included with this item. With built-in high-performance RTK multi-star single-frequency receiver module, it has a 72-channel channel. The RTK refresh rate is 8HZ and the receiving sensitivity is −160 dBm. The built-in P9 digital transmission can reach up to 30KM, and the built-in RTK module has a baseline length of up to 10KM. Trimble EZ-Guide 250 Lightbar Guidance System. With common-sense interface and a color screen, the EZ-Guide® 250 lightbar is easy to operate right out of the box. 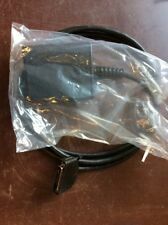 Cable Assembly, FMX or FM-1000 Display to EZ-Steer w/2 PIN Power Input. Cable Assembly, CFX-750, FMX, FM-750, or FM-1000 Power with Relay and Switch (Acc). The Trimble® EZ-Steer® assisted steering system provides simple, portable, hands-free farming for more than 1200 vehicle models – old and new. With common-sense interface and a color screen, the EZ‑Guide 250 is easy to operate right out of the box. Plus, you can upgrade to. computer using a USB flash drive and. USB File Transfer. swath and guide you right beside it. 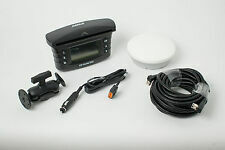 This sale is for ONE NEW Trimble Ag15 WAAS antenna. This is the upgrade antenna for the EZ-Guide 250. This kit includes a galvanized mounting plate and a 25' antenna cable. FREE Trial ! Hydraulic Hose Kit, for Veratile 350-550 Articulated Tractors P/N 92205. KIT, MATRIX 430, GLONASS, PATCH. The compact Matrix 430 is an easy to use, low cost, graphical guidance system ideal. Matrix 430 Features and Benefits. • Optional RXA-30 antenna (Not Included) provides improved reception and noise rejection for. Used Raven Envizio Pro XL 10.4" Screen. TRIMBLE FIELD IQ P/N 300498 RAWSON PAR 2 MOTOR. FieldBee RTK base station : a second sensor that serves as reference point and provides RTK correction to your FieldBee. 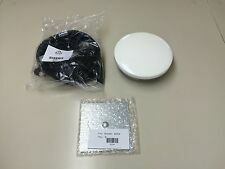 I have a Fieldbee antenna and an RTK receiver available. You use your phone or tablet as the monitor. Tilling and harvesting can be difficult, grueling work with many repeated rows and runs. GPS and guidance equipment make work easier and enhance accuracy. With guidance systems, you can track work you've done, highlight problem areas, and automate farm machinery. What does GPS do for agriculture? Precision agriculture refers to farming methods that use guidance equipment. The term acknowledges the use of GPS to make agriculture more precise and, therefore, more efficient. There are many possible uses for GPS guidance systems, depending on individual needs. In general, these uses tend to be divided up into three basic categories. Guidance: The first option uses GPS-based applications to create a map of your field. These detailed maps add more information and accuracy than you will find on a standard GPS map. Depending on farming needs, basic guidance includes rows to be done, rows completed, and problem areas. Forestry professionals can use mapping to track trees to be cut or left alone. You can map details like weed or pest control as well as dry and wet patches. Semi-Automated: The second option includes everything in option one and still requires a human being to operate machinery at all times. In this case, however, GPS-based applications automate some of the process. For example, you can use GPS together with automated steering to keep tractors driving straight until the end of a row. You can also use GPS systems to increase or reduce fertilizer distribution in key areas. Fully Automated: The third option means using GPS guidance systems to operate machinery such as automated tractors with no human intervention. In this case, all you do is set up the machinery and the system, and it does the rest. What kind of information can applications map? Most farming guidance systems will know a surprising amount of information about your field right away. As a general rule, your GPS system will let you know about any changes in elevation, including minor dips in the field. These systems also give valuable information about field dimensions, optimal row-sizes, and soil quality. With a little effort, you can add crop placement, weed control measures, and other measurements to the map. What parts are there for guidance systems? Depending on your guidance system and how it interfaces with machinery, you can find accessories that will fit most devices. If you're looking for new power cords, cables, or harnesses, always verify first that your system uses standard-sized parts.